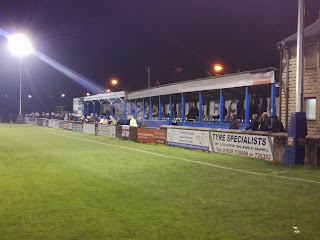 I won’t say that it lives long in the memory, because I was only five at the time, but my first ever football game was at Matlock Town’s Causeway Lane ground. It was the Gladiators against Barrow on a Sunday in April 1978, and I know from the records Matlock won it 3-2. My Dad took me to the game, and I only have one recollection, sitting on the floor digging in some sand that made up part of the pitch surround. Not for one minute could I tell you which part of the ground I was in, because I cannot recall any stands or terraces, in fact I cannot picture it at all. I’ve tried to look at old photographs of Causeway Lane but nothing is jogging the memory. For many years I’d been trying to locate the programme for the game, and by chance I managed to get a copy off of eBay about a year ago. From reading it, it turned out the game was played on a Sunday because Barrow had played an away game at Scarborough the day before, and wanted to cut down on late season travelling by playing on the way back to the North West. Causeway Lane is a ground I’ve visited on countless occasions over the years, notable games include seeing a late Belper Town winner one Boxing Day, and a famous night when the Gladiators beat Mansfield Town in the FA Trophy, the very same Mansfield that went on to win the Conference. Of all of the non-league clubs in Derbyshire, Matlock, along with Alfreton, probably have the most illustrious history. A Midland League side in the Sixties, they won the title in 1968-69 and joined the Northern Premier League in only its second season since forming. It wasn’t until the mid-Seventies though that Matlock started to make noises. The 1974-75 season was a particularly memorable season, a First Round FA Cup appearance lead to a 4-1 home defeat by Blackburn Rovers, but the highlight of clubs history came in the May when they beat Scarborough 4-0 in the FA Trophy Final at Wembley. This after beating local rivals Burton Albion over two legs in the semi-final. 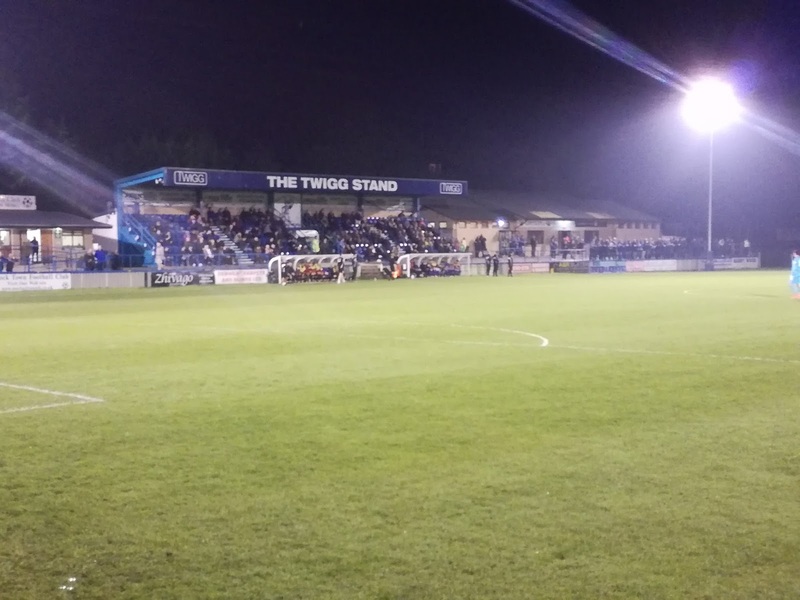 Matlock Town became synonymous with the Fenoughty family, Mick, Tom and Nick, and their involvement with the club started in the Seventies and carried on for over a decade, as players and managers. finally succumbing to Carlisle United in the Third Round. 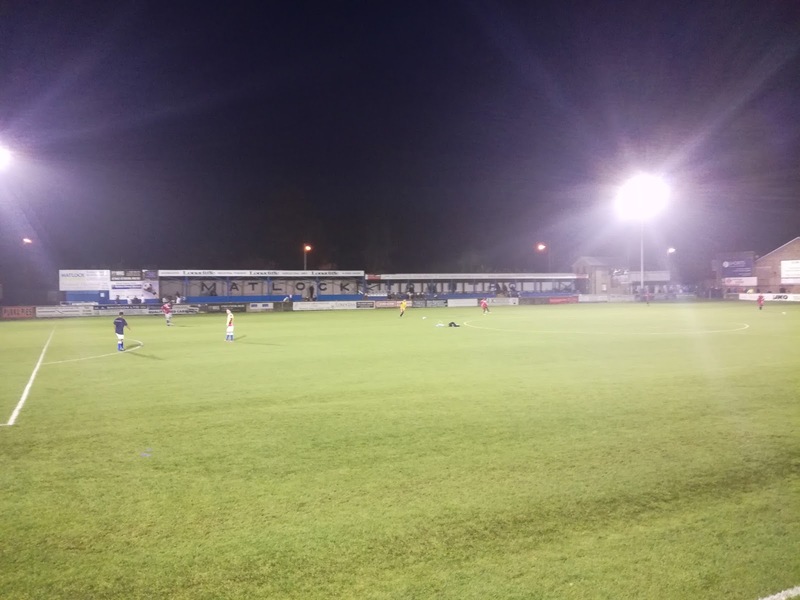 The cut was made at the end of the 1978-79 season for the membership of the newly formed national Alliance Premier League, and Matlock didn’t make that cut, not because of the team, it finished in third position, it came down to the facilities and the infrastructure. Surely it would only be a matter of time though before they made it to the non-league football top table? Alas, it never happened, a runners up spot in 1983-84 was as good as it got, and then by the mid-Nineties they found themselves in the First Division of the NPL following relegation. A spell in the doldrums for eight long seasons was finally broken when Ernie Moss took the club to runners up and a return to the top flight, where they have remained ever since. A club like Matlock could almost certainly sustain Conference North football with their facilities and also their support base. Crowds of other a thousand were commonplace right up to the late Seventies, and while nowhere near that level nowadays, they are one of the best supported clubs in the area. The ground has seen significant re-development over recent years and is more than adequate for the step up, it just remains for them to get it right on the field, on what year on year seems to become an ever tougher league to get out of. The game tonight against Shaw Lane is a real case in point. 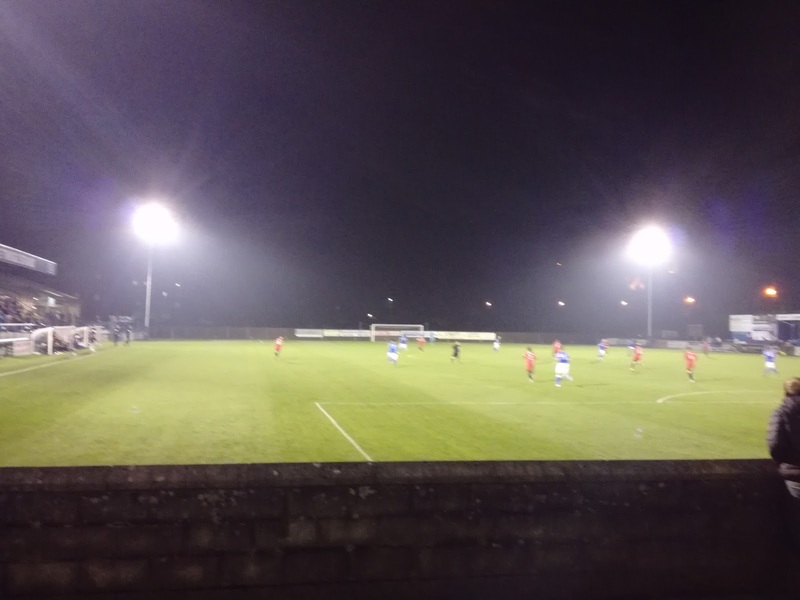 Shaw Lane, from Barnsley, formed not that long ago, have risen from the Sheffield County League right up to the third tier of non-league football. It’s no secret that they are very well backed financially and going into the game they sat top of the league. They have moved grounds this season, and crowds you would argue are modest. They have a plan and no doubt that plan is not designed to see them consolidate in the NPL, it will be about further progress. That’s great, but that’s what Matlock, a club with modest resources, but a fantastic history and supporter base, are up against. That isn’t a criticism of Shaw Lane by the way, I have huge respect for them and what they’ve achieved, and clearly they are a fantastically well run football club. So, Causeway Lane, it would more often than not make your typical non-league fans top ten list of favourite grounds. Ask them why, and they will point to the view of Riber Castle on the top of the hill, yes, it’s a stunning sight looking from behind the goal over the cricket field and into the distance, but to cite that alone is not really doing Matlock justice. The beautiful Peak District town is a haven for tourists, and a very short walk from the town centre you find Causeway Lane on you left hand side. On entry you see the covered terrace to your left, while in front of you is the new main stand and the equally new clubhouse. 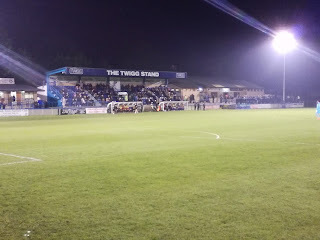 The remaining part of the ground that retains its structures from the halcyon days of the Seventies is on the Causeway Lane side of the ground in the form of the Cyril Harrison Stand. I guess the only slight blot on the grounds copybook is that it remains, and probably always will remain a three sided ground due to the cricket field behind the top goal. That said though, you won’t find many better venues for watching football. 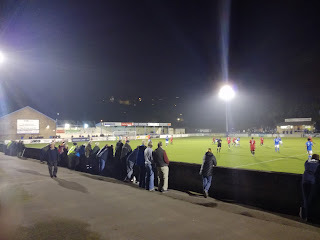 Always guaranteed a warm welcome at Matlock, from club stalwarts like Keith Brown and Ian Richardson, I chatted to both before retiring to the clubhouse for a pint. A decent crowd had assembled on what was a Champions League night (320 announced), to see if the Gladiators could topple the might of Shaw Lane. The first half was tight and Matlock gave as good as they got, but a well organised visiting defence kept them at bay. A ball in from the left early in the second period was headed powerfully home by Spencer Harris to give Shaw Lane the lead, and that was how it remained. Shaw Lane adopted a very ‘professional’ approach in the closing stages as Matlock went long to find an equaliser. Their tactics of slowing the game down frustrated the home crowd, and it proved to be successful. Shaw Lane looked strong, organised and experienced, without playing brilliantly, a sign of a league champion perhaps? Matlock on the other hand showed enough to suggest that if they can find some consistency, the play offs are not out of the question. 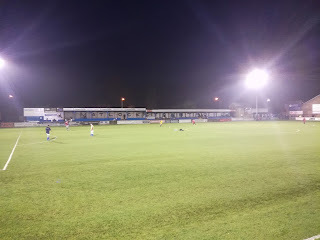 Another enjoyable night at Causeway Lane though, the only thing missing was some sand for me to play in.